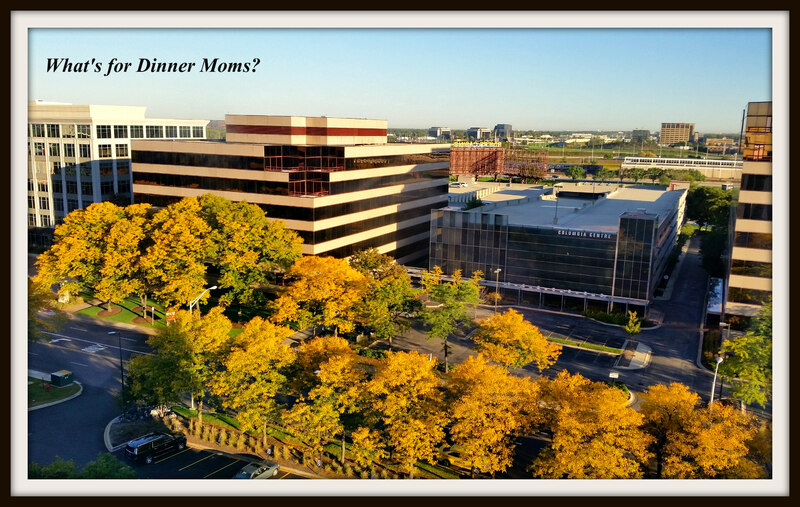 Fall Fun in Chicago – What's for Dinner Moms? 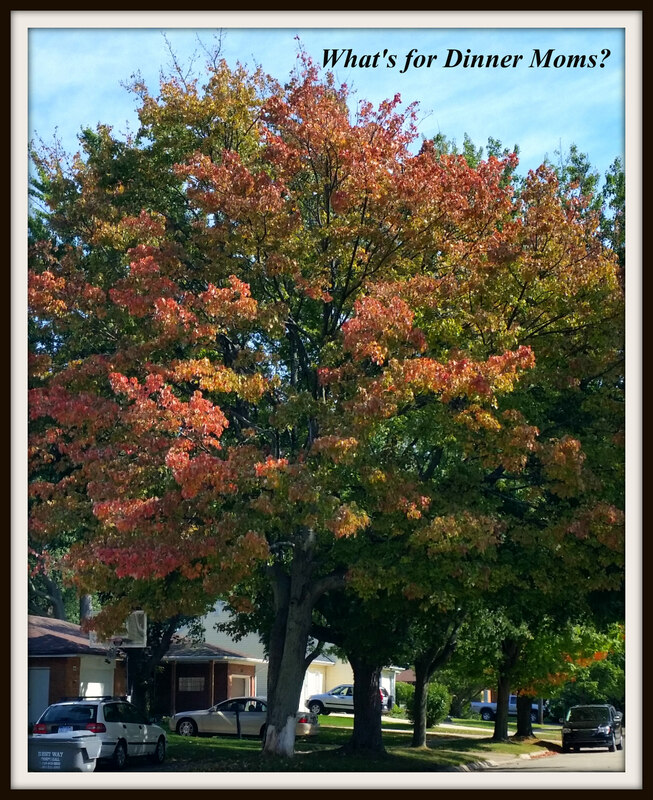 The tree in our side yard says it is definitely fall. For us fall is prime Feis (Irish Dance Competition) season. 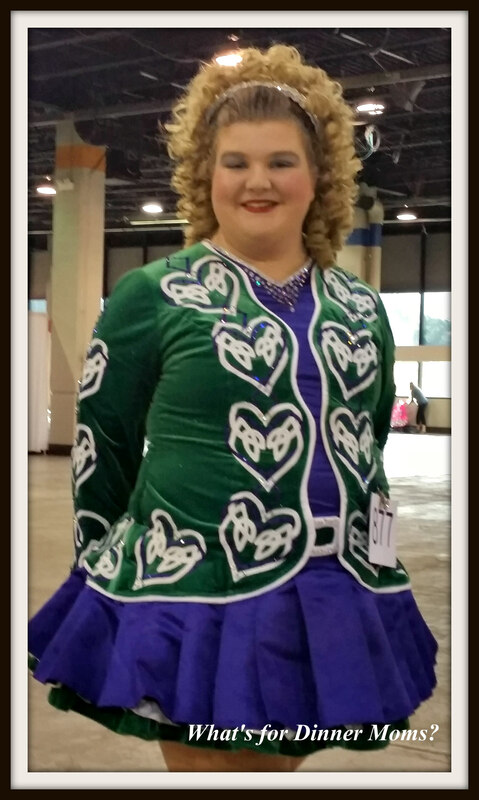 We are traveling just about every other weekend for my daughter to Feis. This past weekend we were in Chicago, Illinois. 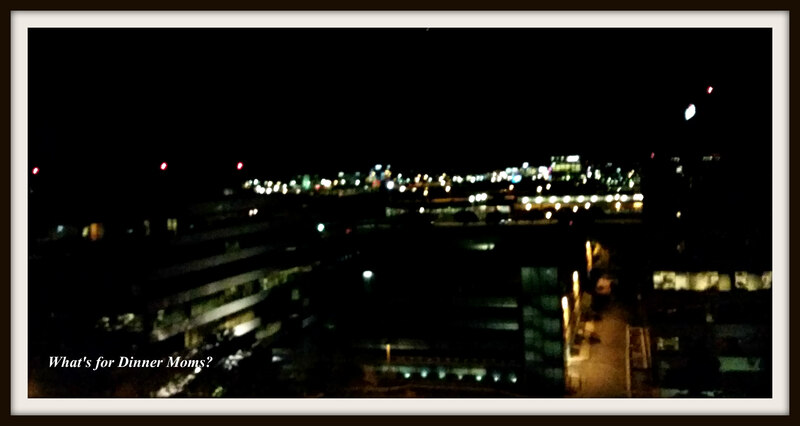 The view from our hotel, The Hilton Rosemont/Chicago O’Hare, was beautiful. In the background you can see part of O’Hare. As it became night you could see the lights from the airport and the planes landing. Almost same picture at night. Taken through our hotel window. If you need a hotel in the area this one had nice, clean rooms. A great view and with all the airplanes going in and out we never heard a sound. 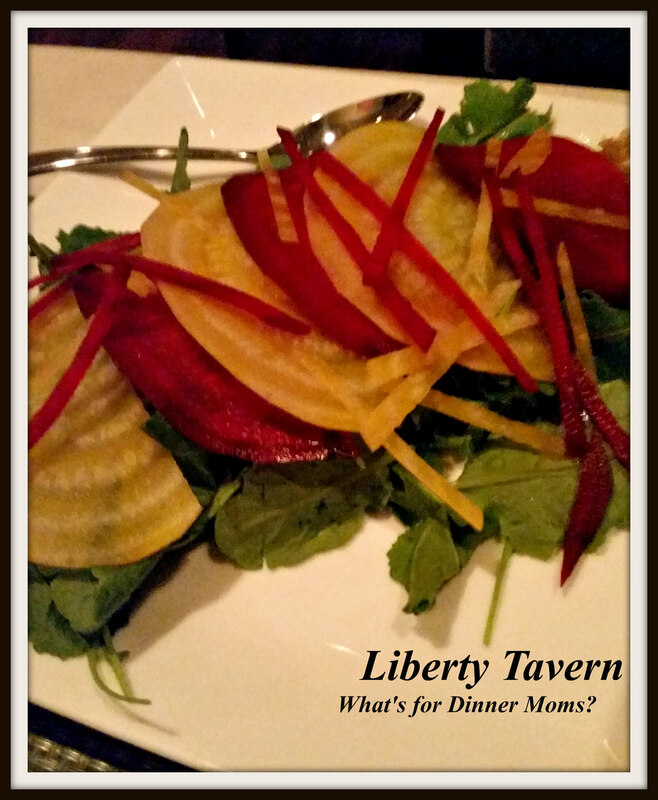 My daughter and I made a girls weekend out of this trip and decided we didn’t feel like leaving the hotel so we headed to the lobby to try their restaurant, the Liberty Tavern. They had steaks, burgers and sandwiches but we decided to stick with appetizers and a salad to share, which we like to do when we go out alone. The salad above is a Shaved Beet Salad with garden greens. It had creamy goat cheese, bacon brittle and lemon vinaigrette. I actually liked this salad much more than I thought I would. I tend to find beets a bit bitter and am not overly fond of lemon, but I let my daughter pick the salad out. The goat cheese was just a little dollop on two corners of the plate topped by an even smaller sprinkling of the bacon brittle. The salad itself was perfectly dressed. There was not too much lemon in the vinaigrette so it tasted fresh not lemony. We both spread the goat cheese on the beets to cut the bitterness of them. We both thought the salad would have been better if they sprinkled the bacon brittle over the entire salad and left out the giant slices of beets and just left the smaller thin strips. 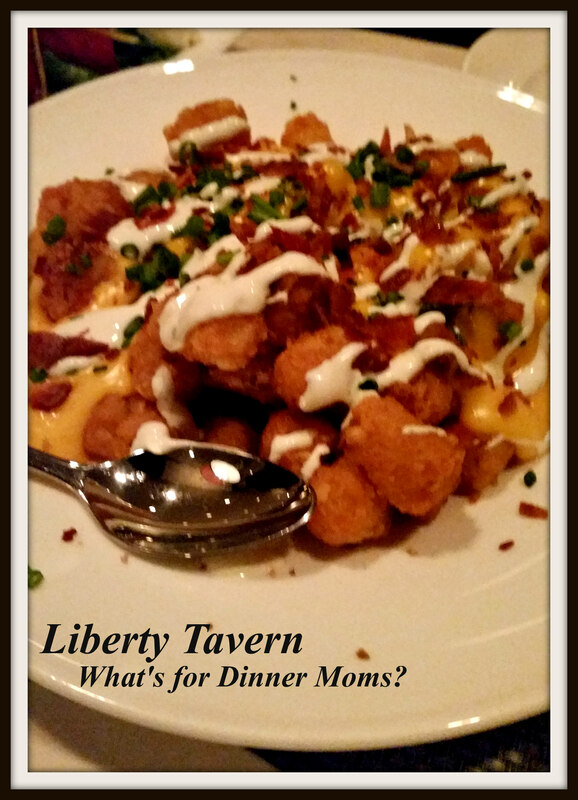 The featured appetizer this night was Loaded Tater Tots. So we ordered that and the Chef’s Cutting Board which was an assortment of cured meats, cheeses and buttery cheesy bread. I didn’t get a picture of the Chef’s Cutting Board but it was our favorite part of the meal. The bread had a cheese crust that was AMAZING! We broke it into little pieces to eat with the meats. The Loaded Tater Tots were a good comfort food but it was too much for the two of us. We finished about half the dish. For us that is unheard of. The tater tots were deep-fried to be extra crunchy, the cheese sauce and bacon were plentiful. We ended eating only about half the dish before giving up. We had full bellies and the meal with 2 sodas, tax and tip was $60. Not bad for Chicago. So the next two days we spent at the Convention Center for two Feis. Though she didn’t place in the one dance she really wants to move up in she did place 2nd in her Open Slip Jig one day and 3rd in her Horn Pipe the second day. So, she was very pleased with that. On our way out of the Feis I told my daughter I wanted to try to get out quickly because the Chicago Marathon had many of the streets around Chicago closed. Also, President Obama was in town and he would be flying out on Air Force One in the afternoon. I knew they would close the streets around O’Hare as his motorcade drove through and Air Force One took off. I didn’t want to be caught in the traffic for either one of those events. As we walked across the street to the hotel parking garage a HUGE plane flew low over our heads as it took off. I told my daughter I was looking to see if it was Air Force One and we were going to be okay because it had already taken off. As I said that two men standing near a big, black SUV turned around. They both had Air Force One jackets on. Then my daughter and I got into the elevator with two more Air Force One people, the liked my daughter’s hair. As we got off the elevator I told me daughter we were fine getting out of Chicago because if they were still at the hotel the president wouldn’t be leaving for quite a while. We made it out of Chicago with no traffic at all! It was a quick drive home and I can’t wait for our next dance adventure. Thank you, yes it was good. The red beets were tough and tangy. Always detested beetroot, so you have my sympathy. Good result at the dance – congratulations to you both. Thank you. She does it all I am the chauffeur! Awe, thank you Lynn. Next year my daughter is a senior. It flies by too fast! Wow time does fly past Marci!